Is ‘scale and polish’ really a waste of time? Last weekend we came across a heated debate in one of the national newspapers. The article said: “The scale & polish procedure that is part and parcel of most routine dental examinations may be unnecessary for people with good teeth”. It also said that: “It makes no difference to dental health”. But is that completely true? Is professional dentist teeth cleaning really a waste of time? At Carisbrook we would most definitely reject these cheap, headline-grabbing claims. Of course the cynics out there might reply “Well you would say that wouldn’t you? After all you’re a dental practice, so recommending dentist teeth cleaning during a routine examination is obviously good for business”. But, if we may say so, that remark misses the point completely. 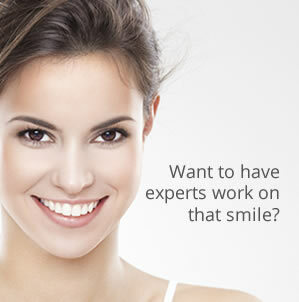 As highly qualified, professional dentists and hygienists our sole objective is to help our patients maintain the quality, appearance and health of their teeth, gums and mouth. In our opinion, and no doubt in the opinion of practically every dental professional, regular dentist teeth cleaning including scale & polish is a crucial part of that process. The argument within the newspaper article acknowledged that the objective of the scaling process is to remove plaque – a sticky film of bacteria and sugars that constantly forms on the teeth. Plaque is the main cause of cavities, tooth decay and gum disease, as well as tartar or calculus – a deposit that forms when plaque hardens. Polishing after the scaling treatment removes stains and makes it more difficult for plaque to stick to the teeth. The article claimed that there was only a small reduction in calculus or tartar levels and was uncertain if this was important. But, Professor Damien Walmsley, the British Dental Association’s scientific adviser, urged caution over this report. He said that patients value dentist teeth cleaning and that calculus could not be efficiently removed by tooth brushing alone. At Carisbrook as part of our preventative dentistry and our hygiene advice we recommend brushing your teeth twice a day. We recognise though that even with the most diligent cleaning plaque can still build-up in some hard to reach areas of the mouth. If this plaque is allowed to harden then quite simply it cannot be removed by brushing. Consequently a build-up around the teeth and gum line can lead to tooth decay and gum disease. Tartar or Calculus may not be able to be removed by brushing, but professional dentist teeth cleaning, including scale & polish, can remove it. So, please take it from us, in our professional opinion dentist teeth cleaning, including scale & polish, is an essential of long term dental care. If you have not had a dental examination recently or if you have not had professional dentist teeth cleaning then we urge you to book an appointment with your dentist as soon as possible. If you would like to book an appointment with us you can call us on 0161 951 7295 or alternatively you can contact us by using the online form on our Appointments page.